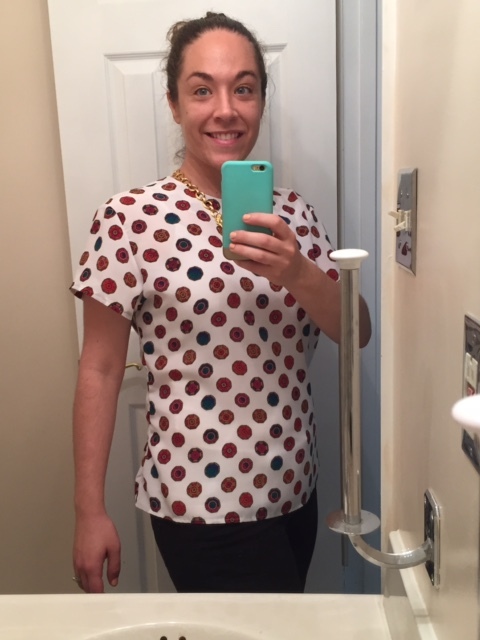 Refashion Co-op: Take a Look at This Gem! Take a Look at This Gem! I recently had the very distinct pleasure of traveling back down South to visit my Granny and hitting up my favorite-ever thrift store while I was there! 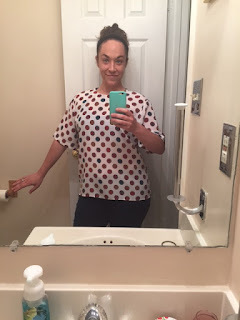 I scored some really great refashionables, and I was thrilled! Before, it was bigger and more billowy, and had longer sleeves than I like. I took in the sides and shortened the sleeves, and I love how it came out! For more detail on what I did, and for a close-up picture of this amazing jewel fabric, you can visit my blog, Em-provising. You did an awesome job on the fit. The top is really cute now.